In the month since DeMar DeRozan spoke publicly about his struggle with depression, fellow NBA players Kevin Love and Kelly Oubre have come forward with stories of their own mental health battles and the league has announced plans to name a director of mental health and wellness. 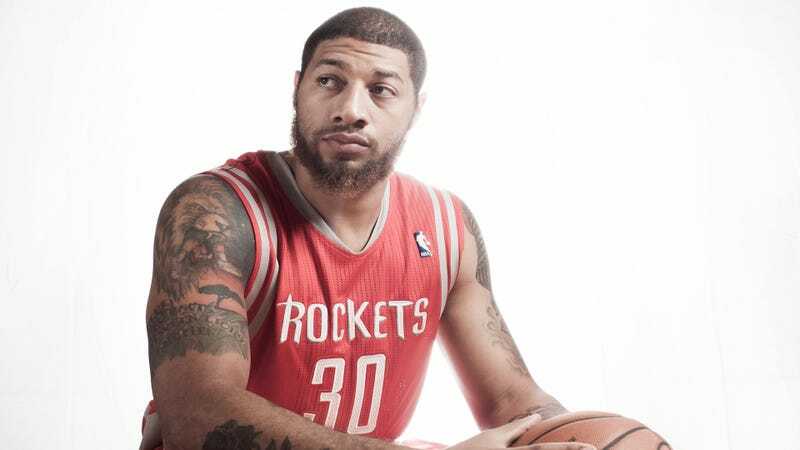 The change is encouraging—and starkly different from how former first-round draft pick Royce White says that his generalized anxiety disorder was addressed by the Houston Rockets and the NBA a few years ago. Yahoo has an in-depth interview today with White, who’s now playing in the National Basketball League of Canada. His NBA career quickly fell apart before it ever really had a chance to start, and he never appeared in a regular season game for the Rockets, who drafted him in 2012. (He only ever appeared in three NBA games total, all with the Kings in 2014.) His anxiety was at the center of public discussions about his ability to stick in the league, particularly his request to take a bus to certain away games rather than fly. “It was said that it would take a long time to get [all 30 NBA] owners to agree to such a move, because in order for the Rockets to do it, the entire league would have to do it or agree, because it would have implications and [set] precedent for the whole league. There was no mention of mental health or wellness in the collective bargaining agreement at the time. After being disappointed in those early conversations with the team about his anxiety, White did not attend preseason training camp. His doctor began trying to work directly with the front office about setting up a plan for White. The Rockets initially told him that he would be able to bus to select away games rather than fly, minimizing the frequency that he’d have to deal with the stress trigger of flying, only to backtrack when the league “went as far as to threaten Houston with fines in the millions of dollars and other penalties” for providing White with a financial accommodation that’s outside of what’s explicitly allowed by the salary cap. “I told them: I don’t understand how accommodating a pre-existing medical condition could be a salary cap infringement,” White said. A policy was eventually hammered out, and White took the bus to a preseason game. But the Rockets deactivated him that night, which he believed was punishment for requesting the accommodation for his anxiety in the first place. White’s relationship with the team only broke down further from there, he said, including a moment when general manager Daryl Morey claimed that the Rockets had not known about White’s anxiety before they drafted him, despite the national media coverage of the subject and the fact that it had been addressed in a combine interview. He was traded in July 2013. It’s not so surprising, then, that White isn’t especially optimistic about what the lasting results of the league’s recent public commitment to mental health might look like. “I believe in order for true progress to happen, there has to be genuine care,” he said. Kelly Oubre On His Mental Health: "Deep Down Inside I&apos;m Going Through A Lot"
Kevin Love Shares His Experience With Panic Attacks: "People Don&apos;t Talk About Mental Health Enough"